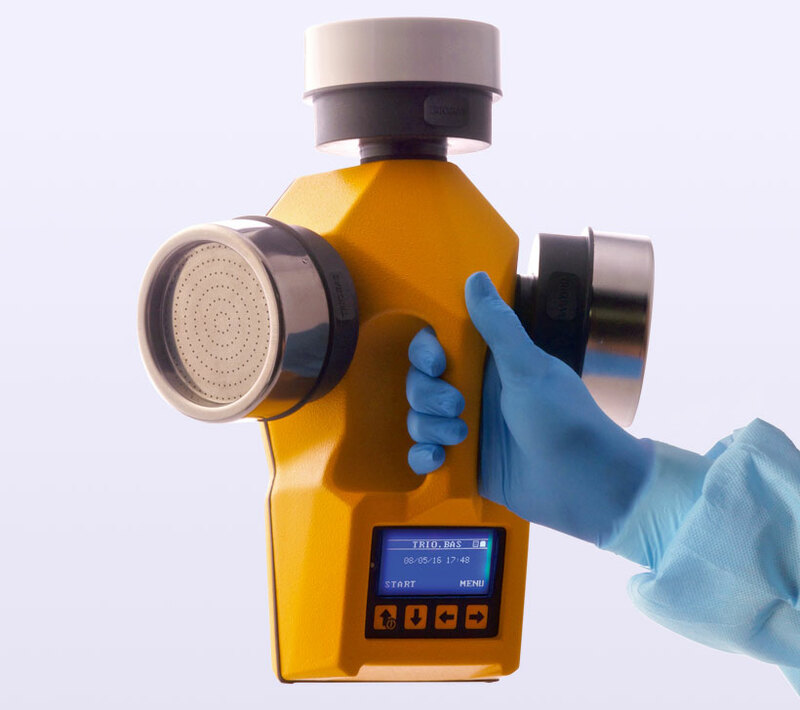 Sales of the TrioBas Impact Air Samplers continue to grow. Customers enjoy the Bluetooth feature, multiple heads, and cordless charging. 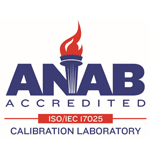 Hardy now offers annual calibration services for those that use the TriBas system for their clean rooms. 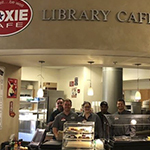 In August, The company-owned Moxie Café expanded and opened up a new branch within the Santa Maria Library. Now healthy food options can be enjoyed by customers in the downtown area. 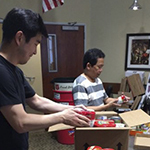 In July, the Hardy Partners donated over five tons of food to help feed the disadvantaged in our community. 1,800 food items and $1,000 in cash were generously given by the Hardy workers. All proceeds will be distributed by the Salvation Army. Hardy opened a new California distribution warehouse in order to better serve its West Coast customers. This 20,000sf facility in Santa Maria allows Hardy to efficiently process outgoing orders. As a part of Hardy’s green efforts, the entire roof and back parking lot will be covered with 650 solar panels which will more than supply the electrical needs for the entire building and the cooler inside. 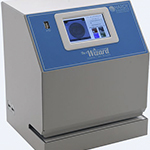 In September, Hardy released the new Compact Dry plate reader, called “The Wizard.” This new instrument will automatically perform a colony count on many different types of culture media for the food industry, thus saving technician time and improving accuracy. 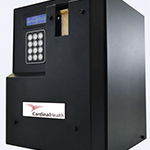 In August, Cardinal Health became an authorized distributor of Hardy’s automated gram stain instrument. This advanced and patented instrument accommodates all different types and thicknesses of specimen material in order to produce a consistent, perfectly stained slide every time, and without variation due to technologist technique. In January of 2018 Hardy Diagnostics earned its accreditation from ISO 17025 to perform calibrations for its customers. The laboratory at Hardy currently calibrates air samplers used in a clean room environment. Plans for adding thermometers and scales are being formulated. In July, the QuickSlide division was successfully moved from Texas to Hardy’s Springboro manufacturing facility in Ohio. The sales of QuickSlide automated stainers showed growth of over 30% compared to last year, as laboratories seek to cut labor costs by introducing more automation into their labs. The instruments offer fast and consistent processing of Gram stains and hematology (Wrights-Giemsa) stains. Hardy becomes the exclusive distributor for Dilucup, a new patented way to streamline the preparation of serial dilutions for the microbiological testing of food samples. The instrument reduces tech time, reduces repetitive stress, and saves space in the lab. Our customer service operation moved to a new building on McCoy Lane in May. It features 35 new work stations, photo studio, calibration lab, conference room, breakroom, and relaxation room. The building is energy efficient with all LED lighting and the landscaping is designed for ultra-low water usage. VWR presented Hardy Diagnostics with their “Supplier of the Year” award at their annual sales conference in Dallas in January. There were over 1,400 in attendance to honor suppliers that offered excellent products and service to their customers. VWR employs 9,300 workers and reports revenues of over $4.3 billion for their services to the scientific community. Hardy has been an active manufacturing partner for VWR for three years. In keeping with Hardy’s record of never having a year of decreasing sales in its 36 year history, the company grew by 7% in 2016. To honor the pledge made by the directors, once again 1% of all earnings were distributed to charities such as the Boys and Girls Club, Good Samarian Shelter, Special Olympics, YMCA, and the Salvation Army. Hardy launched a new selective medium for the detection of Clostridium difficile, which is the leading cause of devastating Hospital Acquired Infections (HAIs). Starting in November, Hardy’s product is capable of monitoring environmental surfaces in the patient’s room for both spores and vegetative cells of C. difficile. This is a much needed tool (and the first of it kind) in the fight against infections due to contamination. Aaron Buckley was selected to head up the manufacturing department. Aaron has a degree in Industrial Technology from Cal Poly, San Luis Obispo, CA, and formerly served as a manager in a local aerospace manufacturing firm. As the Director of Manufacturing at Hardy Diagnostics, Aaron will be taking on many Lean projects. In November, Hardy became the first culture media company to offer a highly selective chromogenic medium specifically for gram negative rod ESBL organisms; sometimes referred to in the press as “superbugs.” This new medium will isolate and detect these highly resistant strains of E. coli (pictured) and Klebsiella. Growth of resistant strains occur from stool cultures in about 24 hours. Further testing can be done for confirmation. In October, Hardy announced its partnership with Orum International, an Italian company that manufactures Trio Bas impact air samplers that are routinely used to monitor air quality in clean rooms. The Trio Bas holds up to three petri plates that will grow bacteria and fungi that become impacted onto the surface of the media from the ambient air. The Trio Bas offers many unique features, such as Bluetooth data recording. 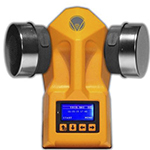 In addition, Hardy plans on offering calibration services for these impact air samplers at its headquarters in Santa Maria, CA. The grand opening of Hardy’s new Salt Lake City Distribution Center occurred in June. The new facility tripled the space compared to the previous warehouse. This allows Hardy to provide better service to the Rocky Mountain states. 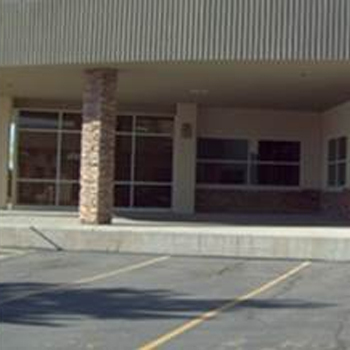 Hardy has maintained distribution centers in Utah and Arizona for its customers since 1998. In April, Hardy Diagnostics was honored by Inc. Magazine for the fifth time to be in America’s top 5,000 fastest growing private companies. Not only that, but Hardy will complete its 36th year of doing business without ever having a year of declining sales. Hardy continues to release new, innovative, and unique products for the medical device industry, so the prospects for future growth in 2017 continue to look very good! Our CEO, Jay Hardy, appears before the US House Committee for Small Business in April in order to voice his support of a bill (H.R. 2096) that was introduced that will provide incentives for business owners to create an Employee Stock Ownership Plan (ESOP). Jay was among four witnesses before Congress to testify of his experience with ESOPs and how they are good for the workers, their businesses, and the overall economy of America. The hearing appeared on C-Span. On January 15th, Hardy Diagnostics acquired the GG&B Company in Wichita Falls, Texas. This new division of Hardy Diagnostics was renamed “QuickSlide.” This company has developed four models of automated microscope slide stainers. They use a patented process to ensure consistent and distinct results every time. Of the four models offered, there are two models that perform the bacterial Gram stain, one for the Wrights-Giemsa blood stain, and one for the Acid Fast Stain for tuberculosis. Hardy intends to grow this hematology and microbiology instrumentation business with a vigorous sales and marketing effort. Daniel Crawford, a biomedical engineer and formerly in charge of Hardy’s training and safety program, was selected to lead this new division as the general manager. The Scholarship Foundation of Santa Barbara presented Jay and Anne Hardy with the “Ambassador Award” for their support of higher education by granting 32 college scholarships over the last two years. In April, Hardy Diagnostics was honored with an award for Excellence in Employee Ownership from the Pacific Coast Business Times in Ventura, California. The company has now been owned by the employees since the beginning of 2013. Under the ESOP (Employee Stock Ownership Plan) the employees are granted shares in the company each year in order to help build their retirement fund for the future. There are now over 10,000 ESOPs in the US, which provide an excellent means of building wealth for all workers. Hardy Diagnostics releases an innovative new culture medium from its R&D; department for the selective identification of Vibrio bacteria. Vibrio infections, originating from shellfish and contaminated water, continue to be of increasing concern in America. The chromogenic media, HardyCHROM™ Vibrio, will identify the three Vibrio species that are pathogenic to humans. It is the first and only product that can identify all three species of Vibrio by colony color on the Petri plate. The most common pathogen, Vibrio vulnificus, will fluoresce under a UV light as seen in the photo. Hardy Diagnostics exporting efforts win an award from the US Department of Commerce for being an “Export-Ready” firm, proactively participating in local export seminars, domestic and international trade fairs, and going abroad to develop and establish long-term partnerships with distributors and end-users. Hardy exudes the entrepreneurial spirit of a company that is tapping into other markets to increase exports and succeed in todays diversified global marketplace. Hardy now supports over 50 foreign distributors. Jay Hardy sells his remaining 30% ownership to the employees of Hardy Diagnostics at the end of August. The company is now 100% owned by the workers. This completes the ESOP (Employee Stock Ownership Plan) program that was started three years ago. Jay remains as the CEO, as the employees now completely own the company that they have worked so hard to become successful. 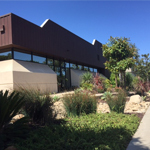 The fifth building on the Hardy campus in Santa Maria was purchased in May. This 13,000 sf building will house the customer service operation for the company. The property was beautifully re-landscaped in order to reduce irrigation requirements as part of it Green efforts. A new 20,000 sf building behind the one pictured will soon be erected that will serve as the new California warehouse. In October, the Moxie Café, owned and operated by the employees of Hardy Diagnostics, was ranked number one out of hundreds of restaurants on both the Yelp and TripAdvisor websites, based on positive customer reviews. In addition, as a result of its reader poll, the Sun Magazine presented the Moxie with four awards: Best New Business (catering), Best Outdoor Dining, Best Deli Sandwiches (runner-up), and Best Restaurant for Veg Heads (runner-up). The Moxie features live entertainment on most nights of the week. In October of 2014 the Moxie Café and Hardy Diagnostics were recently named one of Santa Maria’s most beautiful businesses by Santa Maria Valley Beautiful. The award was given in recognition of the Moxie’s commitment to community pride through creating a beautiful environment. The Moxie Café is owned and operated by the employees of Hardy Diagnostics. The newly renovated landscape features low water use Mediterranean plants on a water conserving drip system with a sandstone hardscape. Hardy announces a new alliance with Nissui Pharmaceuticals in Japan. Nissui manufactures a product for the food industry called Compact Dry. With Compact Dry one can perform a bacterial and fungal counts on a food sample. The plate is very thin and thus space efficient. The media is dehydrated for a long shelf life and instantly rehydrates when the sample is placed on it. The formulas include chromogenic substances for easy colony recognition by color. Formulas include total counts, E. coli, coliform, yeast and mold, and Staphylococcus aureus . Hardy is now the exclusive American distributor. See more information about Compact Dry. The company opens up a new restaurant, known as the Moxie Café, next to the Santa Maria campus; not only for the employees, but for the public as well. The restaurant features many healthy choices of delicious dishes including salads, wraps, sandwiches, and rotisserie beef and free-range chicken. The Moxie also offers two conference rooms to serve other businesses, clubs, and organizations in the community. In April, Hardy Diagnostics opened its ninth distribution center in Raleigh, North Carolina. This warehouse will service Hardy customers in North and South Carolina, Virginia, West Virginia, Maryland, and Northern Georgia. This will enhance and compliment Hardys existing network of distribution centers designed to provide customers with inexpensive next day ground delivery. Watch a short video that describes the nationwide network that offers superior service to Hardy customers. Numerous pieces of equipment were implemented for our manufacturing processes, such as a new ultra-sophisticated autoclave from Switzerland, an automated serum vial filler and crimper, a new versatile plate pouring line for all types of Petri dishes, and an automated cap torqueing machine for more consistent screw-cap tightness. Twelve editions of our microbiology newsletter, MicroBytes, were published. This is the sixth year of offering this popular newsletter that is enjoyed by over 10,000 loyal readers. 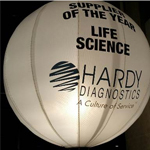 Hardy Diagnostics signed up 2,176 new customers in 2014. The year ended with a growth in sales of over 10%. Jay Hardy accepts an award from the Rotary Club for “Ethics in Business.” This award is given annually to the company that most demonstrates its involvement in building strong communities. A contract is signed with the well-known scientific supply distributor, VWR. 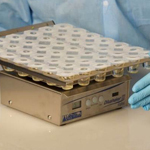 Hardy Diagnostics now offers 1,600 of its culture media products through this distribution channel to the industrial and research microbiology labs. Hardys TapTight™ contact plates and the CulGenex™ molecular biology reagents are now being sold exclusively through VWR. The Northwest distribution center in Centralia is moved to Lacey, Washington, a suburb of Olympia. The new and larger facility services the Hardy customers in Washington, Oregon, Idaho, and Montana. The Federal government requires that all manufacturers pay a highly contested 2.3% tax on the sale of all medical devices, in order to help fund the new Affordable Care Act (ACA). Hardy becomes a supplier to Medline, one of the nations largest distributors of medical and surgical products. Medline will be representing Hardy in its new laboratory supply offering. Hardys Swab Rinse Kits are now being used on the International Space Station to collect specimens for culture. The astronauts are using the Hardy Diagnostics products to sample the microbiome in and on their own bodies as well as the microbiome of the surfaces within the space craft. Hardys R&D department releases HardyCHROM™ SS for the detection of both Salmonella and Shigella from stool cultures by utilizing chromogenic substances in the culture media. This is the first and only medium that will identify both of these pathogens and differentiate them from non-pathogens, such as Proteus. In the past, time and money was wasted by having to identify non-pathogens that mimic the true pathogens. This new medium is patented. New clean rooms are opened in Springboro, Ohio. Over $2 million is spent on the state-of-the-art manufacturing facility that will provide culture media to Hardys customers in the Midwest and Atlantic Seaboard. Hardy Diagnostics becomes an authorized distributor of Sartorius, world renowned for its excellent liquid filtering equipment. The Sartorius products are used for the microbial examination of water, sterile fluids, beverages, etc. Chris Massey is hired to manage the Research and Development Department. Carrot Broth™ and GBS Detect™ sales continue to grow worldwide. The product is now CE marked for sales in Europe. The CDC has included Carrot Broth™ in its recommended procedures for the detection of Group B Strep in pregnant women. Hardy Diagnostics becomes a certified “Green Business” and is recognized by the County of Santa Barbara, California for its many efforts in preserving our planet for future generations. The AnaeroGRO™ product line for anaerobes continues to be become more popular with microbiologists. A recent study showed that AnaeroGRO™ outperformed other products on the market. 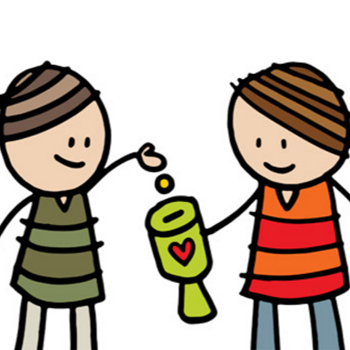 Hardy Diagnostics employees start a Community Action Committee to give, serve and invest. The fourth building at the Hardy Diagnostics campus on McCoy Lane in Santa Maria, California is purchased in December. This 21,000 square foot building will be used primarily for storage and future manufacturing. This brings the California headquarters to a total of 100,000 square feet of space. A new distribution center is completed in December in Albany, New York. This is the eighth warehouse facility that is maintained by Hardy Diagnostics and represents the last one to complete the nationwide network. This network provides rapid and inexpensive ground delivery for the laboratory customers that require fast service. Robert Meijer is promoted in November to take on the duties of Sales Manager. He is made responsible for managing the field reps and handling national accounts. Robert has extensive experience in both diagnostic and industrial microbiology from both a sales and manufacturing viewpoint over the last 21 years. In September, Hardy Diagnostics acquires the culture media portion of Gibson Laboratories in Lexington, Kentucky. Gibson (owned by Microbiologics) was a major supplier to the veterinary and physicians office laboratories that serviced over 150 customers. Hardy joins the social networking revolution with a new fresh look on Facebook. A new state-of-the-art steam sterilizer is custom designed and purchased from Switzerland. It provides ultra precise controls over the sterilization process for culture media tubes, bags, and bottles. 1,130 square feet is devoted to a new laboratory dedicated exclusively to R&D. This lab features environmentally controlled rooms for carrying out molecular biology studies, as well as traditional microbiology. HardyCHROM™ MRSA is the newest media to join the family of chromogenic plates. Hardys new selective media will detect MRSA within 16 to 24 hours by the production of magenta colonies. Hardy changes ISO registrars to BSI, a well known accreditation agency. Hardy has now been ISO certified for six years. The online ordering feature on the Hardy Website is upgraded to include a feature-rich program, so that customers can easily place an order at anytime. A larger facility is purchased in Springboro, Ohio. The existing distribution center in Ohio is moved to this new 47,000 square foot facility. The CRITERION™ bottle was completely re-designed to include better seals and a more sturdy opaque plastic bottle. Kimball Lombardi assumes the Director of Manufacturing position. Lombardi is a graduate in Industrial Technology from Georgia Tech with extensive experience in Lean Manufacturing. A new onsite 1,200 square foot gym is provided for the Hardy employees to compliment its “Fit Friendly” workplace philosophy. The AnaeroGRO™ line of pre-reduced culture media is released in December. AnaeroGRO™, with oxygen-free packaging, is designed especially for the growth of clinically significant obligate anaerobic bacteria. A new line of products for the molecular biology researcher is created, known as “CulGenex™”, which includes LB Agar and Broth, buffers, salines, and electrophoresis gels. AloeSure™, the new, safe, natural, and effective hand sanitizer is released for those who want to avoid putting dangerous chemicals on their hands. Many new products are released from the R&D department, such as: Acinetobacter Media, Rapid Anginosis Kit, Rapid Ornithine Broth, and HardyCHROM™ ESBL. A new distribution center is opened in Lake City, Florida in order to provide next day service to customers in Georgia and Florida. Now there are seven distribution centers in the nationwide network, providing fast service to Hardy Diagnostics customers. The plate pouring line is automated further with the addition of a robotic bagger and label affixer. The petri plates are now poured, bagged, and labeled without being touched by human hands. 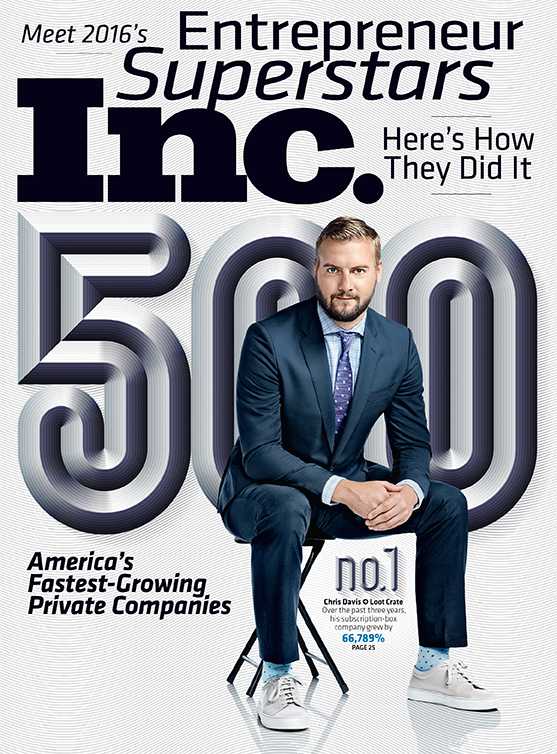 Hardy Diagnostics is once again named by INC Magazine in the INC 5000 listing as one of Americas fastest growing companies. Hardy purchases Bacti-Lab™, a culture media company in the San Francisco Bay Area that specializes in doctor and vet office microbiology systems. The “Derm-Duet™” and “Sab-Duet™” used for skin fungal cultures become Hardy products. HUGO™ version 7 is released to keep all customers updated with current technical information. Hardy Diagnostics is included in the Inc. 5000. Hardy Diagnostics is among the nation’s 5000 fastest growing companies according to Inc. Magazine. New high speed plate pouring equipment is installed, which fills, labels, and bags over 9,000 Petri plates per hour. Comprehensive manufacturing software is implemented to achieve better control over raw material inventory and associated costs. A new lyophilizer is implemented to freeze-dry various solutions, such as rabbit plasma and media chromogens, in order to increase the shelf life of various labile products. The MicroBytes Newsletter now has over 7,000 regular readers. The “Hardy Enterprise Center” (25,000 square feet) is added to the Hardy Diagnostics campus to provide new offices, warehouse, photo studio, cleanrooms, and manufacturing rooms. The Hardy campus now consists of 76,000 square feet of building space in Santa Maria. Hardy Diagnostics goes green by installing skylights and replacing lighting with energy efficient fluorescents and LED bulbs. Hardy Diagnostics becomes certified by the American Heart Association as an official “Fit Friendly Workplace” due to its commitment to promoting healthy lifestyles. Hardy purchases the company, Para Scientific, the leading manufacturer of parasitology filter/funnels. 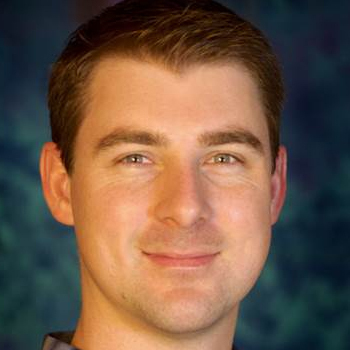 Alistair Wood, another Cal Poly, San Luis Obispo graduate, assumes the leadership of the Quality Assurance Department. Michael Welch, possessing a degree in microbiology from the University of California, Santa Barbara, assumes the management of the Human Resources Department. Welch returned to California after spending 13 years in China. Certificates of Analysis are now offered to all customers on the internet for 24/7 access. New comprehensive customer care software (Pivotal) is purchased and implemented to enhance our client services. 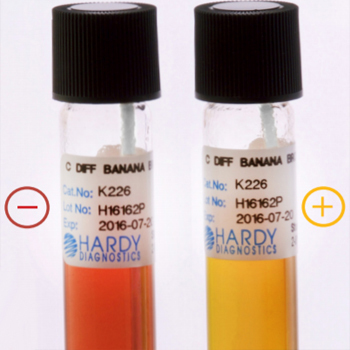 Hardy Diagnostics’ own formulation, HardyCHROM™ chromogenic media is released for E.coli , Coliforms, Staph , Salmonella , Candida , and UTI (Urinary Tract Infection). Chromogenic culture media helps the microbiologist to identify the bacteria or fungus based on unique colony color. New powder blending and packaging rooms are completed and equipped with new high volume blending machines. The first Hardy Diagnostics email newsletter called Micro~Bytes is sent to all customers to keep them up-to-date on the latest products and services, while featuring articles of interest for microbiologists. The sixth Distribution Center is opened up in Dallas, Texas to provide next day service to Texas, Oklahoma, Louisiana, and Arkansas. A renovation of the plate and tube manufacturing cleanrooms and prep areas begins. Polycarbonate tubes and bottles are utilized as an option to glass for increased safety and lighter weight. The HardyVAL™ line of proficiency testing products for hospital pharmacy technicians is introduced and a separate website is launched. The 6th edition of HUGO™ is launched. 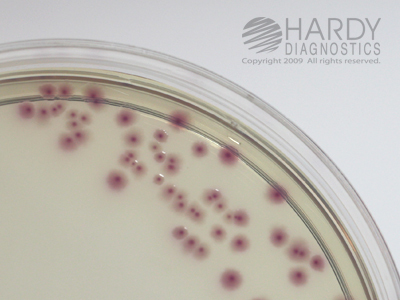 This time with close-up color photos showing growth characteristics of bacteria and fungi on Hardy Diagnostics’ media. The company surpasses 160 workers. A new building, the “East Wing”, is completed featuring a new warehouse, offices, conference rooms, break room, and packaging room. Hardy Diagnostics’ innovative “Carrot Broth™” is studied by multiple hospitals and marketed throughout the U.S. with great success. Carrot Broth™ is used to diagnose Group B Strep infections in pregnant women in order to prevent sepsis in newborns. Eddie Mendoza, a recent graduate in computer technology from Cal Poly, San Luis Obispo, joins the IS staff and will become the Director within four months. The company earns its ISO 13485 Certification for medical devices. ISO is an internationally recognized quality standards certification program. This will provide a welcome boost to foreign and pharmaceutical sales. “Lean Manufacturing” methods are implemented throughout the company as a part of the Continuous Quality Improvement program. More growing pains; construction of a new 25,000 square foot building on the neighboring lot in Santa Maria begins. For better coverage of the Midwest and Eastern states a new Distribution Center in Lima, Ohio is successfully opened. Ryan Burks, a Westmont College graduate and teacher, joins Hardy Diagnostics as a sales administrator and later becomes the Director of Logistics to oversee all six warehouse operations. Hardy Diagnostics is honored by being presented with the “Founder’s Award” from the Santa Maria Valley Economic Development Association. Hardy Diagnostics receives the “Spirit of Small Business” award for North Santa Barbara County sponsored by the Los Angeles District of the US Small Business Administration. A new Distribution Center is opened in Washington State to complete the “next day” coverage of all the Western states. The company launches a new line of Antimicrobial Susceptibility Testing (AST) disks. These disks assist the microbiologist in reporting to the physician the most effective antibiotic to treat the patients infection. A company-wide Profit Sharing and Open Book Management program is introduced to all employees. New, expanded QC, QA, and Chemistry laboratories are completed in the Santa Maria headquarters. Hardy Diagnostics surpasses PML to become the country’s third largest culture media manufacturer. Hardy Diagnostics begins to market a complete line of diagnostic products for the dairy industry to combat bovine mastitis. Jay buys out his second partner and takes over the management of the entire company in September. HUGO™ technical documents are now available on-line through the Hardy Diagnostics web catalog. HUGO™ software is released to assist customers with technical information. Hardy Diagnostics is the first in the industry to offer a digital technical manual. Hardy Diagnostics launches its first website. A dehydrated powder product line is launched, and named CRITERION™. An International marketing effort begins. Two new distribution centers are opened up; one in Arizona and one in Utah, for better coverage of the Southwest. Dilu-lok™ dilution bottles are introduced to the food and pharmaceutical industry. Ross ERP, a comprehensive software package, is implemented to handle multiple warehouses and more complex inventory control functions. Chromogenic media from Europe is introduced by Hardy Diagnostics into the USA for the first time. Christopher Catani, a Medical Technologist from Chicago, joins the company as an industrial sales rep and later becomes the Director of Sales, Marketing, and Customer Service. Hardy Diagnostics displays at the National ASM convention for the first time. High speed automated tube filling, capping, and labeling equipment is implemented. High speed, multi-line Petri plate filling equipment is implemented. Jay changes the name from Hardy Media to Hardy Diagnostics to emphasize the lab supply distribution portion of the business. 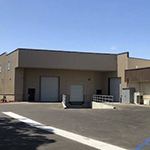 A new 25,000 square foot building, with extensive cleanroom facilities is finished, and the move from Santa Barbara to Santa Maria is accomplished. Growing pains again. 1.3 acres are purchased in Santa Maria for a future building site. Hardy Media begins selling to the entire state of California. Hardy Media begins its relationship with MicroBioLogics® and distributes its ATCC® derived microorganisms. The first full time sales rep is hired. More space is needed again, and the company moves back to Santa Barbara into a leased facility of 11,000 square feet next to the harbor. Hardy Media’s first personal computer is purchased, and the trusty IBM typewriter is discarded. Continued growth is experienced and more space is desperately needed; the business moves to Goleta into a rented 2,000 square foot facility. Rob makes the difficult decision to sell his 50% ownership in the company in order to join his father’s flower wholesale business in Northern California. Rob vigorously markets the Hardy Media product to hospitals in the neighboring cities of Ventura, Bakersfield, and San Luis Obispo. Business picks up; Rob and Jay make a “sink or swim” decision and quit their day jobs in the hospital laboratory. Not allowing the dream to die, seed money amounting to a modest sum of $20,000 is loaned to Jay and Rob from their parents in order to keep their new endeavor alive. One by one more laboratories join the growing ranks of Hardy Customers. Jay and Rob graduate and pass state exams as Clinical Laboratory Scientists. Jobs are scarce so the daring, if not foolhardy, decision is made to attempt a new business together making culture media for the local labs in Santa Barbara. Hardy Media is born! A two-room suite is rented in Santa Barbara, CA and the first plates are poured using antiquated second hand equipment. The founders continue to believe that they can do a better job of servicing the local laboratories. Jay Hardy and Rob Shibata, having both earned a bachelor’s degree in Biology and endeavoring to become Clinical Lab Scientists, are accepted into the Medical Technology training program at Santa Barbara Cottage Hospital. The customer service I received from your company today has been amazing…..You and your team really get…everyone that answered the phone. I am really impressed. Thanks for the awesome team work today. My customer will be so happy.